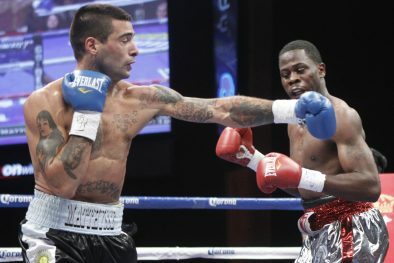 Photos: Michael Bennett/SHOWTIME– WBC Interim Super Lightweight Champion Lucas Matthysse scored a one-punch knockout win over Mike Dallas, Jr., in the main event of SHOWTIME CHAMPIONSHIP BOXING from The Joint at Hard Rock Hotel and Casino in Las Vegas last night. The knockout came via a short counter right hand at 2:26 of the opening round. 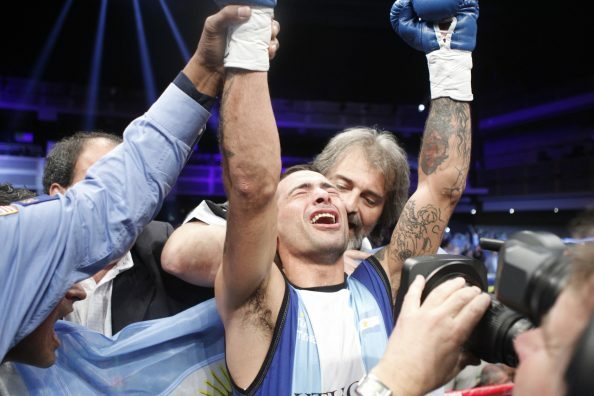 Matthysse advanced his record to 33 wins, two losses with an impressive 31 knockouts. The dangerous Argentine is now looking for the biggest names in the 140-pound division. The triple header, presented by Golden Boy Promotions, will replay Tuesday, January 29 at 10 p.m. ET/PT on SHOWTIME EXTREME®. 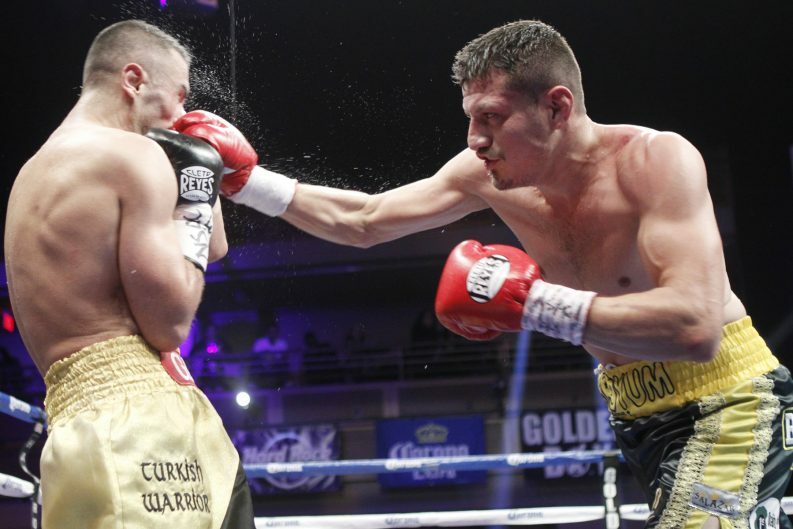 In one of the evening’s co-features, Jesus Soto Karass won a majority decision over Selcuk Aydin in a 10-round super welterweight fight. Soto Karass simply outworked Aydin from the opening bell, continually pushing forward and controlling most of the rounds. The scores were 97-93 twice and 95-95. Soto Karass’ record improved to 27 wins, eight losses and three draws with 17 knockouts. 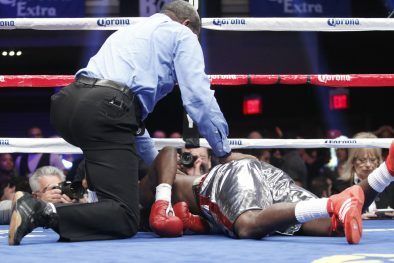 In the SHOWTIME® telecast’s opening bout, highly regarded 154-pound prospect Jermell Charlo took a step up in competition and knocked out rugged Harry Joe Yorgey in the eighth round of a 10-round super welterweight fight. 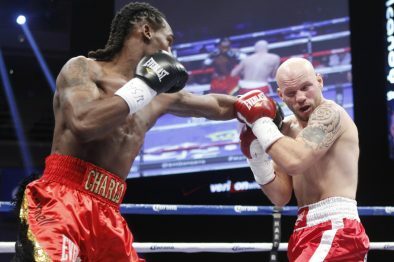 Charlo, the undefeated student of respected trainer Ronnie Shields, looked impressive with poise, speed and power. 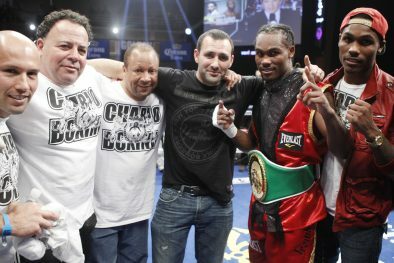 The young 22-year-old prospect improved to 20 wins with 10 knockouts and is a man to watch at super welterweight. The SHOWTIME tripleheader was presented by Golden Boy Promotions and sponsored by Corona with Matthysse vs. Dallas presented in association with Arano Box Promotions and Goossen Tutor Promotions, Aydin vs. Soto Karass presented in association with Arena-Box Promotion and Charlo vs. Yorgey presented in association with Banner Promotions. 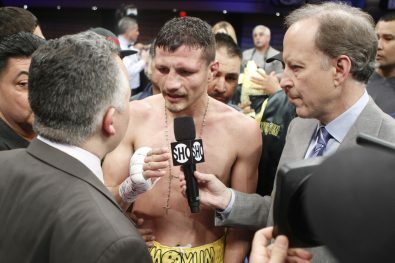 For more information, visit www.goldenboypromotions.com, and follow on Twitter at @GoldenBoyBoxing, @TheJointLV,@hardrockhotellv, @SHOsports, follow the conversation using or become a fan on Facebook at www.facebook.com/GoldenBoyBoxingor www.facebook.com/ShoBoxing.